Tipoversos is a poster design series created and published between 2018 and 2019. The feature parts of popular Brazilian songs illustrated only using lines. The choice of 15 songs was made based on Johnny Brito, the author of the posters, personal preference. Johnny added that in addition to liking the songs, he also tried to use songs that could reflect with Brazil’s current times. The songs bring a mix of critique, protest but also a little bit of hope that the country and its people will get through this very difficult time. 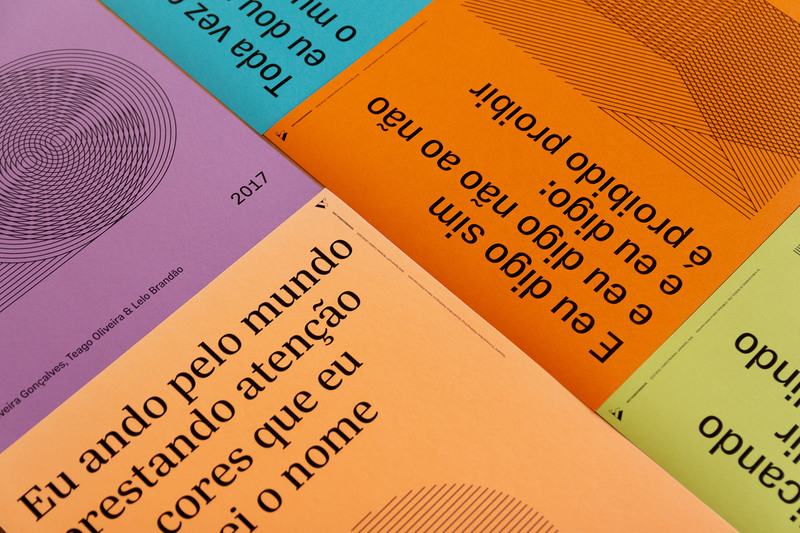 Due to the fact that this was a project focused on Brazilian music, the designer thought that it would be even better if he could also use fonts created by brazilian designers. The posters had a few very specific requirements, for example, condensed fonts, a comfortable X-height and good optical balance in terms of weight of the font. With that in mind the fonts selected were Silva Text Medium and Vinila Condensed Regular, two excellent examples of high quality typographic work recently produced in Brazil.